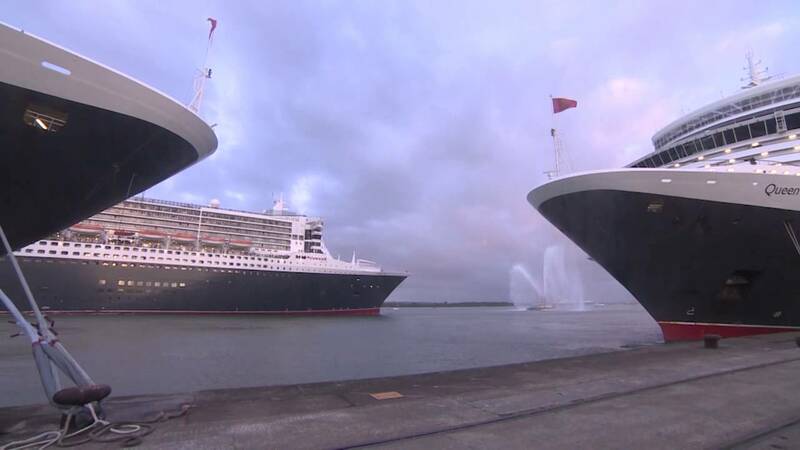 It was just days ago when the MSC Magnifica blasted out a hit song in the Port of Hamburg and now Cunard Lines Queen Elizabeth and Queen Victoria blast out “Happy Birthday” on the ship horns to Queen Mary 2! We’re not sure which video is the best! Happy Birthday was blasted out by the two ships foghorns to Queen Mary 2 as the large ship arrived into Southampton to celebrate its 10th Anniversary. Let us know what you think in the comments below.